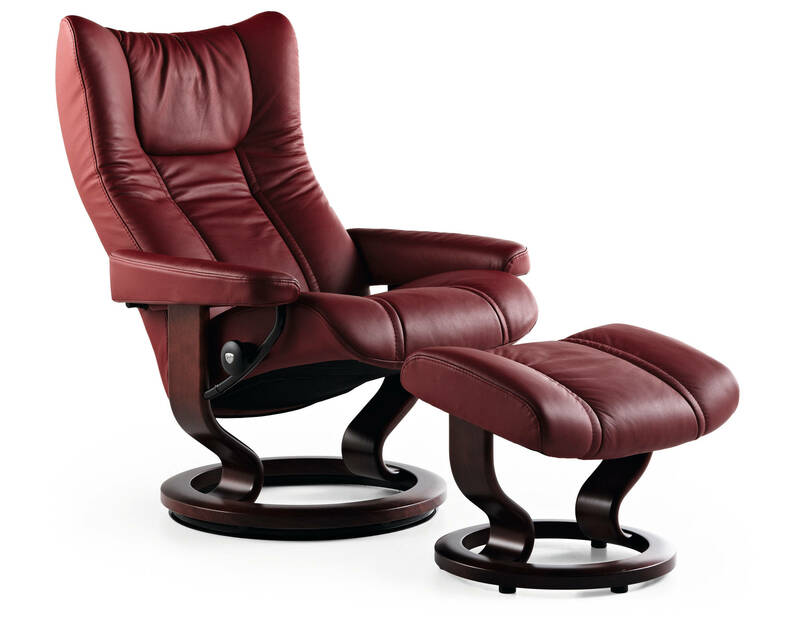 The Stressless Wing Recliner and Ottoman is a crowd favorite. Stop by and try one out for yourself. There will be no going back once your back feels the incredible, adaptable lumbar support. 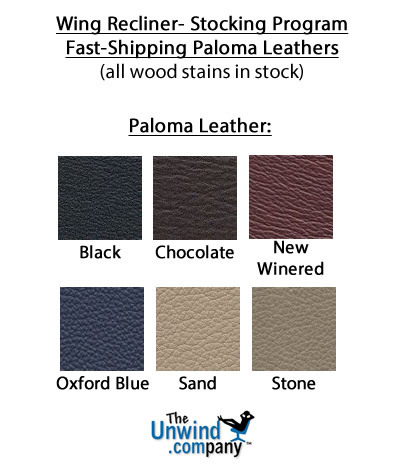 While you're in, we invite you to take your time and review all of the Paloma Leather Grade Color choices. It is so incredibly soft and smooth while still being strong and durable. There have been some exciting color additions. Sparrow Blue and Summer Green have been incredibly popular. Make your preferred leather or fabric type and color selection by using the pull down menu above, which is titled: "Select Leather or Fabric Type and Color". Enjoy Fast, Worry-free Delivery on a Stressless Wing Recliner Medium with Ottoman. It's a great time of year to purchase from the amazingly comfortable, Stressless Wing line! This popular, modern recliner delivers exquisite head, neck and back support and the over-stuffed smooth, soft, cushioning allows you to sit undeterred for many hours on end. The Stressless Wing recliner is among the most modern Stressless recliners available. I lovemy new chair. It fits my body like a glove. I cant believe I have been sitting on regular chairs for so long. They said this chair was perfect for me because I am tall-waisted and it is a little taller. I agree. 5 stars to the chair and 5 stars to my sales guy for steering me an in stock color. He had my chair at my house in Palm Beach in 4 days. Like this chair. Love the service! Had a small problem with the armrest on my wing recliner that I didn't notice until about 2 months later. The Unwind Co. staff didn't hesitate to get my issue resolved both quickly and effectively (didn't cost me a cent). Would strongly recommend this chair and the Unwind Co.